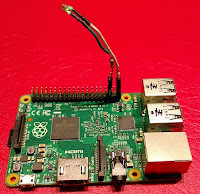 This is an example of "Asymmetric Multi Processing (AMP) with Raspberry Pi"
"AMP with Raspberry Pi: Cookbook". 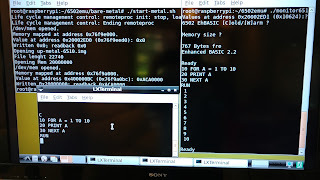 A remote process (bare-metal) runs a 6502 emulator (fake6502) with a Basic Interpreter (EhBASIC), using two (shared) memory locations for data exchange, one as (keyboard) input for basic interpreter and one for (monitor) output. 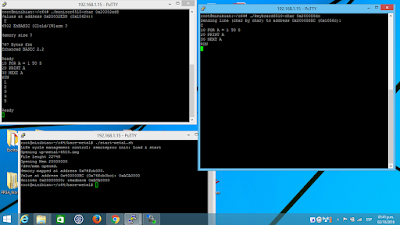 The process run asyncronously and the IPC (inter process comunication) is imperfect, as no signaling was implemented. AMP framework: (the same as previous posts) Linux on Cores 0,1,2 using lower RAM and Bare Metal on Core 3 using upper RAM (above 0x20000000). See Step 1 for details. This will start the bare-metal process and the Linux process for monitor basic output. And restart it ( again with ./start-metal.sh) so you have LCM. If you start ehbasic with Warm option you can list your previous "sesion" basic program, as it remained in memory. This script can be used for load the img file (up-metal-6510.img) at 0x2000000 (upper 512Mb) and point Core3 Mailbox3 to that address to start it's execution. In root folder you have two files for local (Linux) run. When Linux boots puts all unused cores in a loop, looking for their mailbox 3. When that mailbox is no 0 the core jumps to the address contained there. The linker script used sets at execution start the code contained in the startup assembler file armc-08-start.S (file listing and comments in this post). That file prepare the environment (stack and variables initialization) and junps to C code kernel_main function, located at 6510.c in this case. 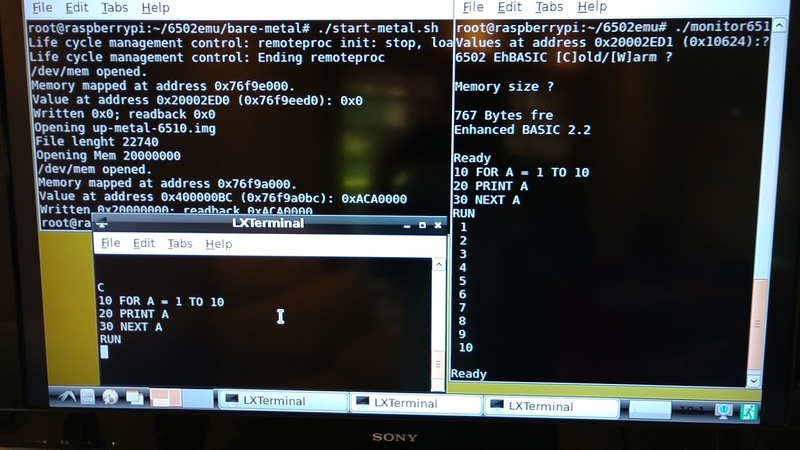 When kernel_main returns to assembler startup (armc-08-start.S) encounters a loop, similar to Linux one, looking for mailbox3. So, the restart procedure is identical to initial start: write address execution in mailbox 3. Please note: live and mailbox definitions as volatile, in order to avoid compiler optimizations, ensuring variables in memory, accesible for Linux process. You can see that kernel_main execution depends on "live" value. The idea here is make live=0 from Linux to stop execution (really return Core 3 to the loop looking to mailbox 3 in armc-08-start.S). First obtain physical address for "live" variable and the writes 0 to it. that prints on terminal any change to that physicall address, that is mailbox bare-metal variable. Sends to mailbox2 the typed chars. How do you handle setting up the MMU for core 3?